From Hailsham travel east on A271 to Herstmonceux (direction Hastings). 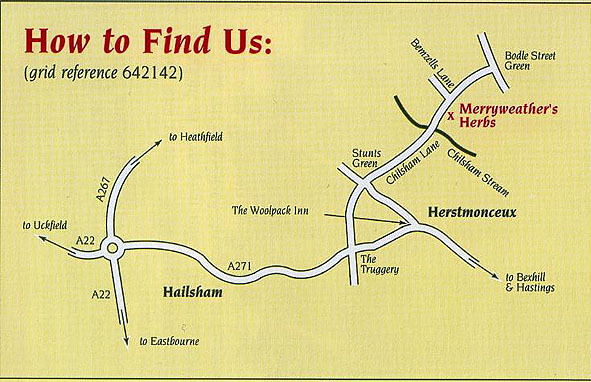 In Herstmonceux turn left into West End (at mini roundabout between the Woolpack Inn and Touchstone pine shop). After approx ½ mile turn right into Chilsham Lane.